It is a wonderful thing to assemble all the partners together in Huddersfield in the autumn of 2017 . . .
For some it is a reunion, for others, they are meeting for the first time. 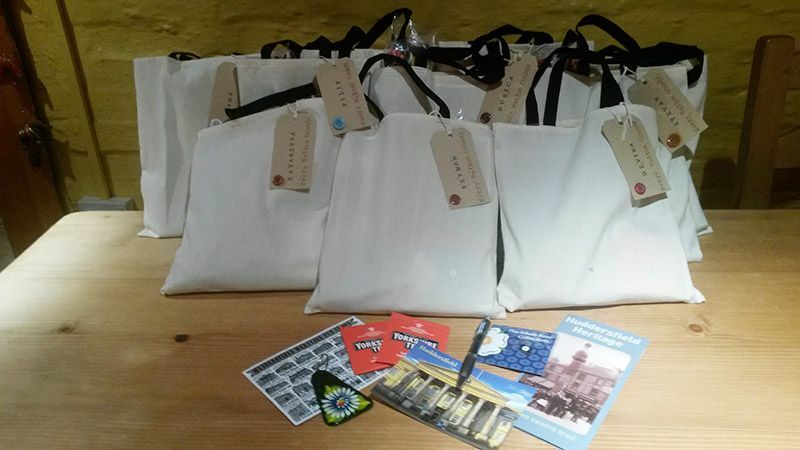 We offer our friends welcome bags hand made by Isobel, a friend of 6 million+, and containing a mixture of quirky gifts from our diverse town. 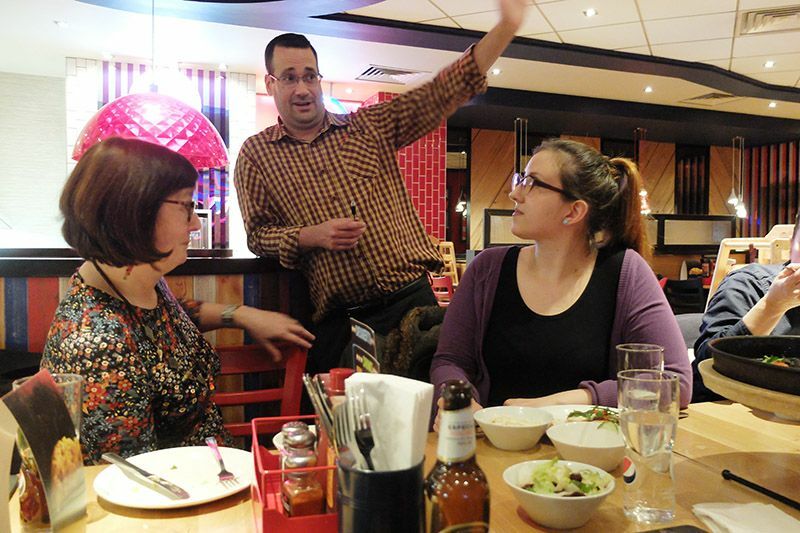 We eat at Pizza Hut because flights are arriving at different times and the staff in the restaurant are flexible and welcoming. 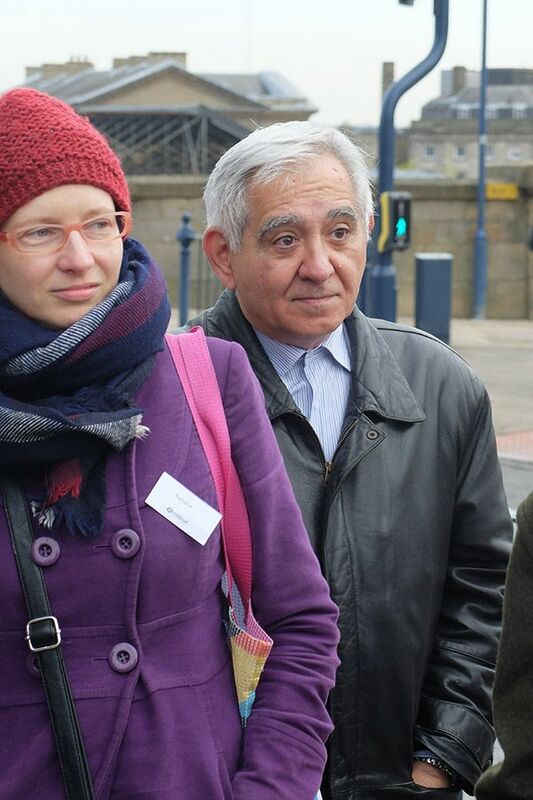 Ferenc, a member of staff, tells a story about his Hungarian uncle who found himself in Huddersfield after the war. Already, the project has resumed! 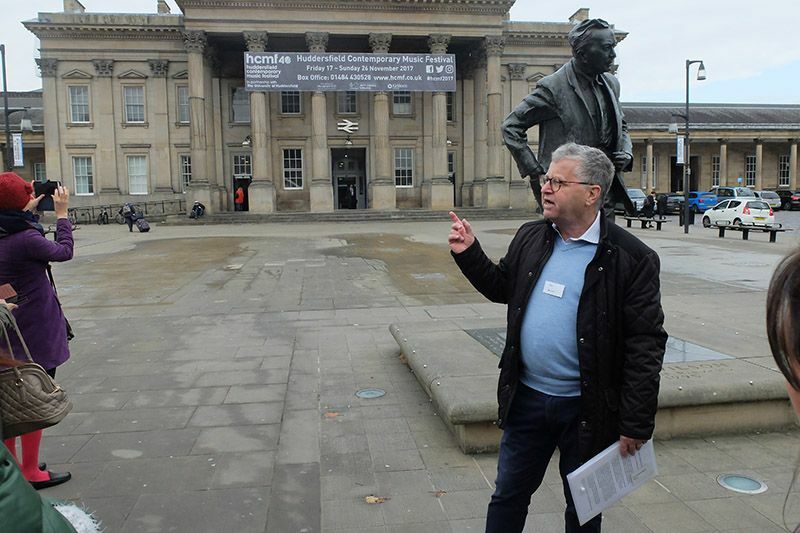 On Day 1 in bright sunshine, we are all treated to an animated guided walk around Huddersfield, led by Phil and Nigel, two trustees of 6 million+ Trust. 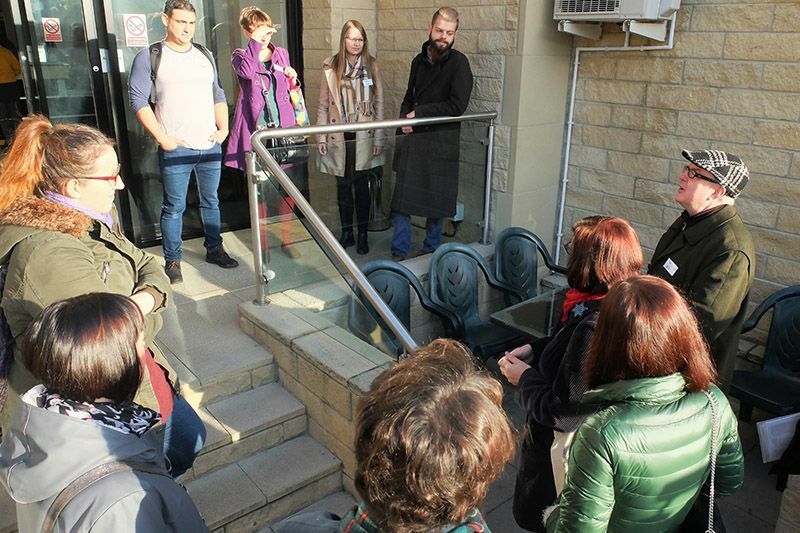 The partners are surprised to learn that the very street they are staying in was a place of “first homes” for many European refugees and migrants.“I love the warmth and colour of the Yorkshire stone” says Kasia. Jewish migration to Yorkshire grew in the 1880s following pogroms in Russia and a small Jewish community existed in Huddersfield for some decades. We hear about Belgian refugees who found temporary sanctuary in Huddersfield during WW1 and Basque children, refugees from the Spanish Civil War. Polish people arrived in the 1940s: political emigrants, soldiers, airmen and displaced persons. At about the same time, Ukrainians settled here. Many of them had experienced unimaginable hardship, persecution, starvation and worse. In June 1948 the SS Empire Windrush brought the first group of migrants from the Caribbean. Migrants from Pakistan and India came to work in the textile industry. At about the same time some Chinese families started restaurants and takeaways in this area. The most significant recent migration into Kirklees came after the inclusion of Poland, Lithuania and other eastern European countries in the European Union in May 2004. 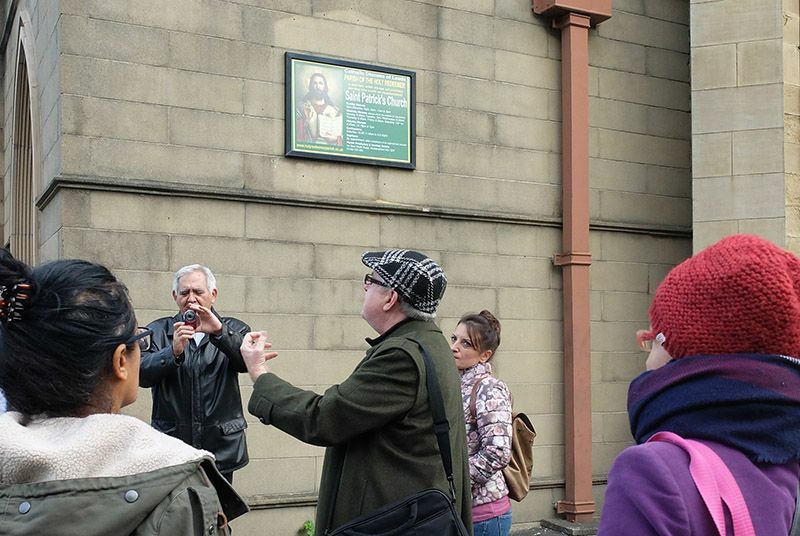 At the same time a Kurdish community began to form in Kirklees. 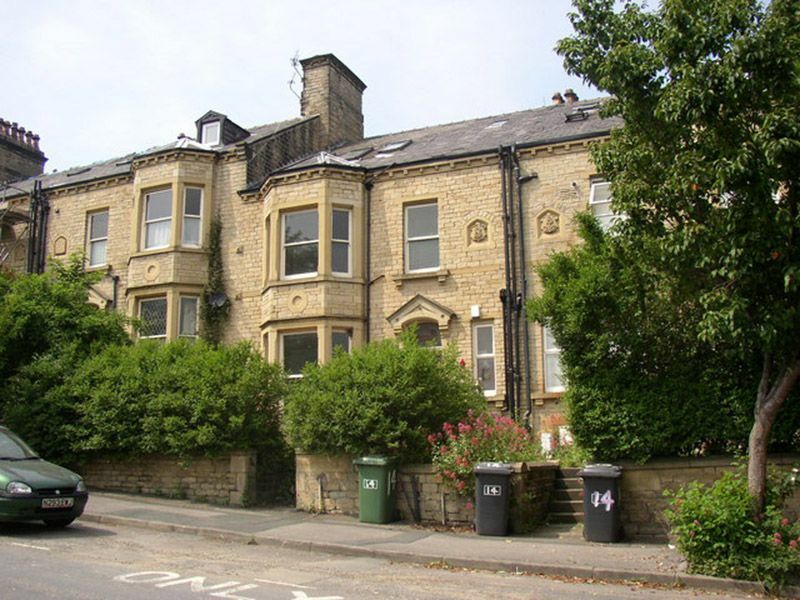 Asylum seekers continued to settle in this area and in 2010 Kirklees became a Town of Sanctuary, now known as Sanctuary Kirklees. The town has a reputation of being welcoming and a place of sanctuary. Phil explains that some forms of racism and tension do exist, but overall it’s a safe place to be and there have been no riots here. 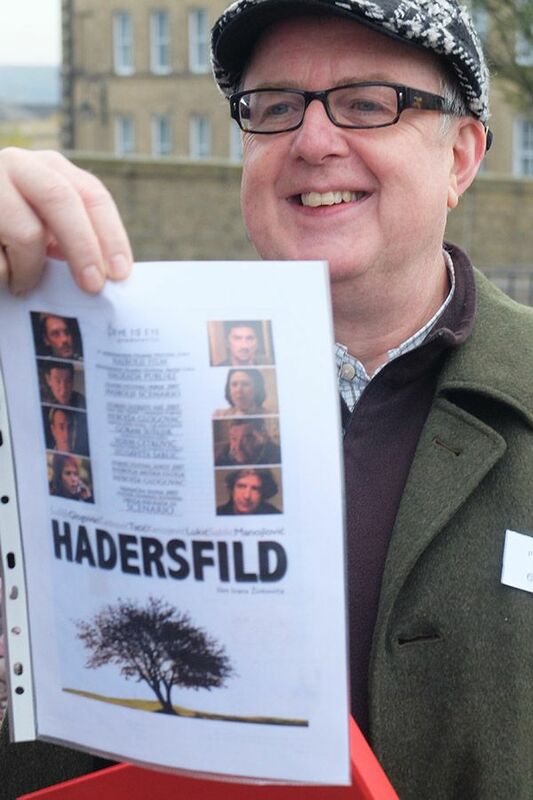 Phil holds up a poster for 'Hadersfield' – a recent Serbian film that sadly is unavailable with subtitles in the UK. Members of the Serbian group know about it! Nigel stops by the statue of former Prime Minister, Harold Wilson, who was a good friend of the Kagan family, who were Lithuanian Holocaust survivors. Wilson wore a raincoat produced by the Kagan factory and made it famous all over the world. 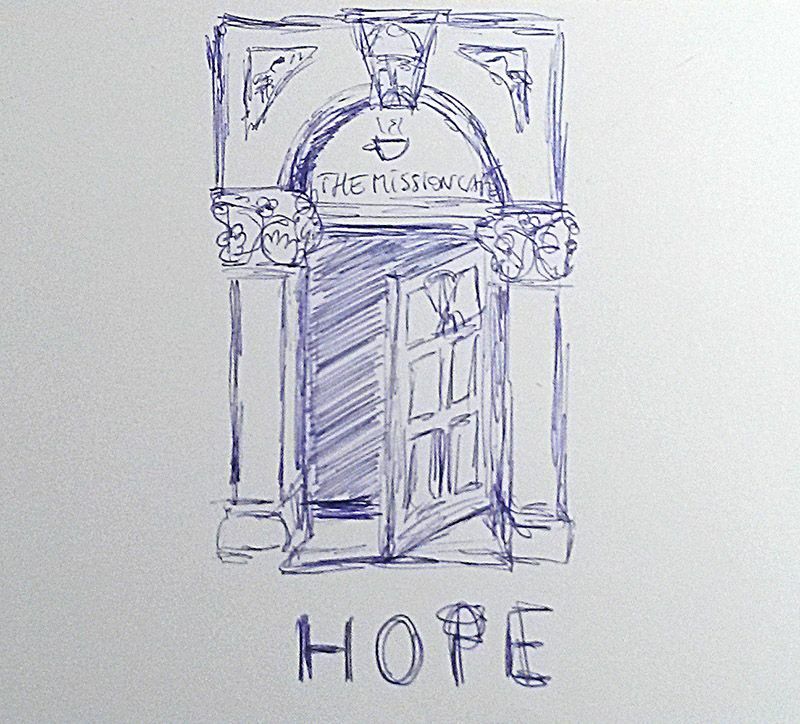 We also stop outside churches and centres that continue to support current asylum seekers and refugees in the town. We bump into Mandeep’s father Kulbir in the town centre and introduce everyone to him. He was a child during the violent Partition of India. Mandeep has interviewed him as part of her White Line project. It is the 70th anniversary of Partition this year. He has never really spoken about it properly before. 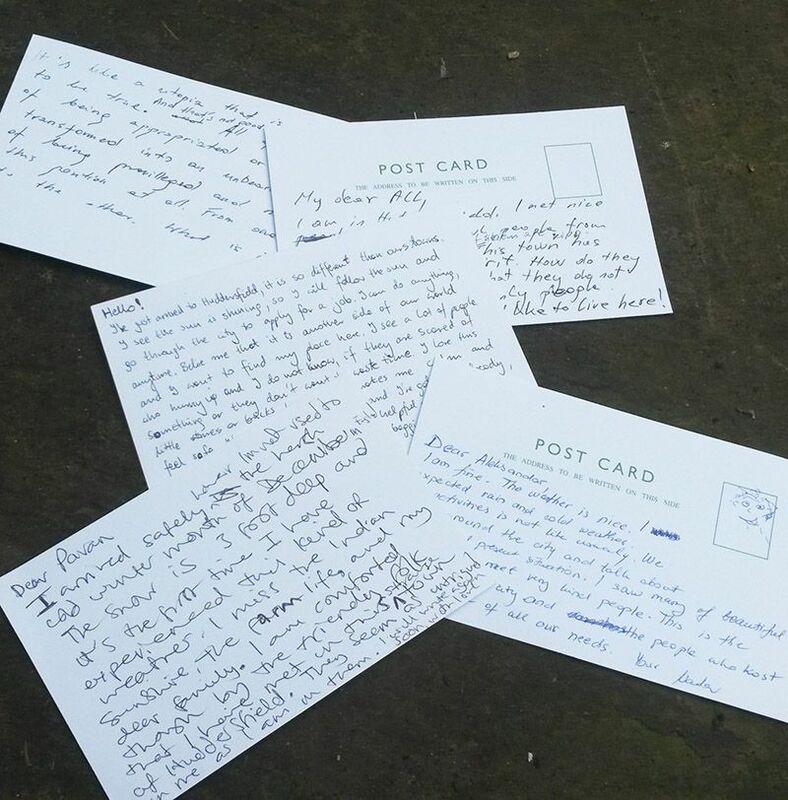 We walk down to the University of Huddersfield, where 6 million+ is based, and over coffee, the group is asked to write a postcard, putting themselves in the shoes of a migrant or refugee writing a few words to family or friends about arriving in this town. It is an instant way of reflecting on what they have just heard and seen. I am fine, The weather is nice. I expected rain and cold. Our activities are not usual. We walk around the city and talk about history and the present situation. I saw many beautiful buildings and meet very kind people. This is a multi-cultural city and the people who host us take care of all our needs. I am in a place called Huddersfield. I met nice and beautiful people and all of them are kind. This town has real intercultural spirit. How do they create it? I am sure that they do not forget that we are only people and not a threat. I Feel I would like to stay here! Do not worry about me. Tim Thornton, Deputy-Vice Chancellor and advisor to the Trust, welcomes everyone to the University. 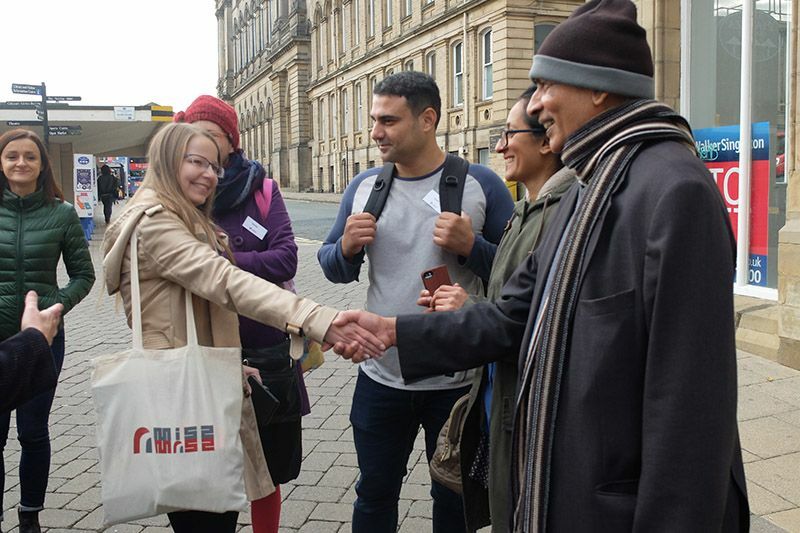 Members of 6 million+ have worked with the Holocaust Survivors Friendship Association, based in Leeds, for many years. The Association have been successful in securing a grant from the Heritage Lottery Fund to build an exhibition about the Holocaust, based on the testimonies of local survivors at the University of Huddersfield. There will also be a learning space for schools and groups. 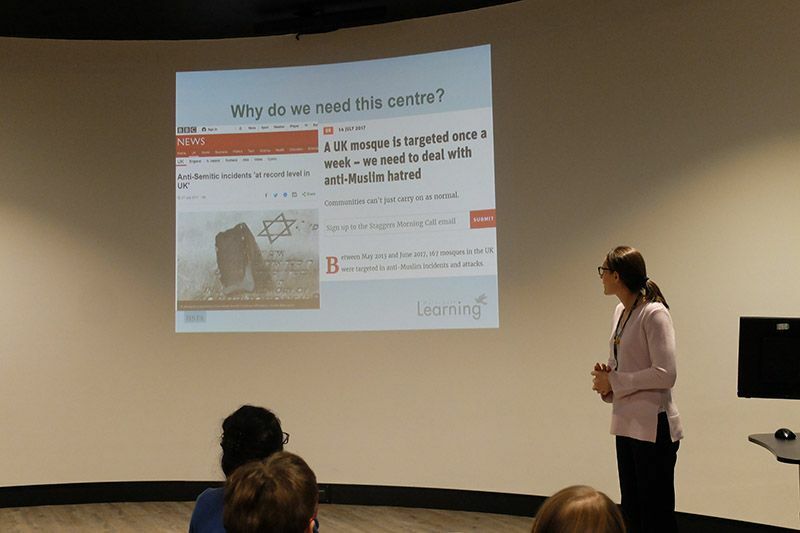 Emma King, director of the project, speaks to us about plans for the Holocaust Learning Centre, including partnership working with 6 million+ Trust. 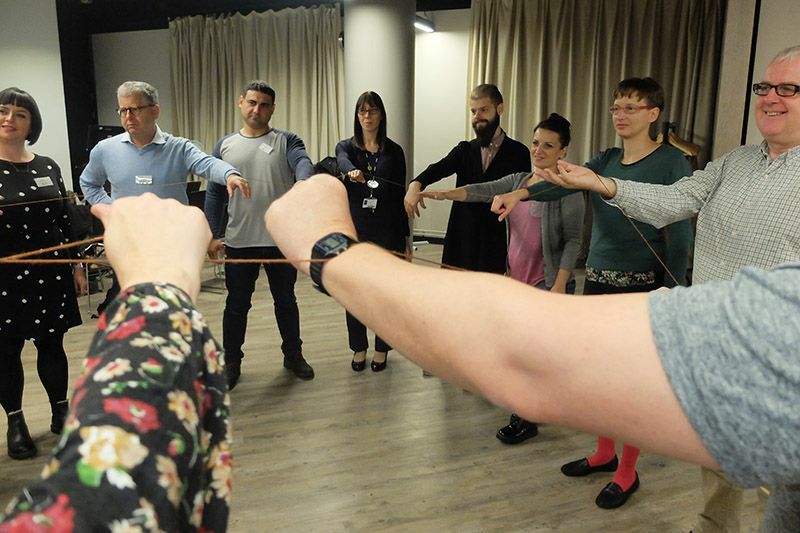 At the end of this, Madeleine, who is a textiles student at the University of Huddersfield, leads us all in an “arm knitting” activity to bring us together, as she did in Lublin. A photographer from local newspaper The Huddersfield Examiner captures this moment.